Carriage Shed is located right next to Chester railway station, easily accessible from the city centre and well connected to most towns and cities in the North West. Carriage Shed is just a second’s walk from the train station and 15 minutes' walk from Chester city centre. Parking for Carriage Shed is available at NCP Chester Station, within walking distance. 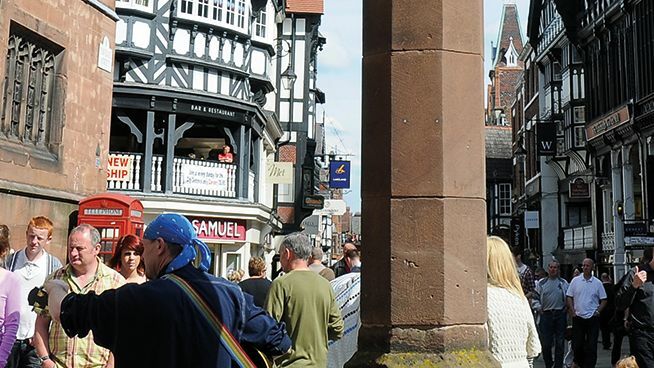 Chester is easily accessible from a number of cities including Manchester, Liverpool, Stoke and Wrexham. Carriage Shed is a second’s walk from the train station, just turn left as you exit. The City Rail Link service runs through Chester city centre every 6 minutes and stops at Chester railway station. The closest bus stations are on City Road and Station Road. © 2019 The Carriage Shed. All rights reserved.